With all the debate in Washington D.C. about building walls, students at Charles City High School are celebrating their newly-constructed wall — which has them reaching new heights. Sophomore Addison Olson helped to conceptualize and build the school’s new rock climbing wall, the first in the Floyd County area. Olson is part of the school’s “Expeditions” class which tackled the project. 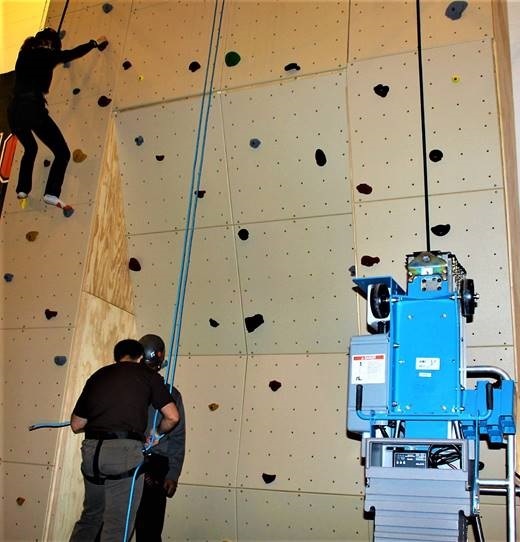 It includes four routes with different difficulties tailored to the climber’s experience. The class began desiging the wall last spring and construction began in September. Instructor Rob Pittman says the wall is a collaboration of the students’ designs. 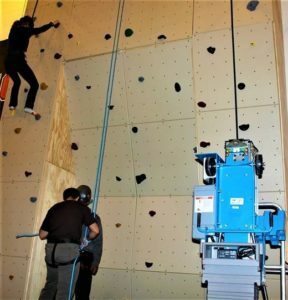 The climbing wall was paid for through grants and several fundraising efforts. Pittman says the wall not only offers a way to stay fit, but could provide work-related experience. 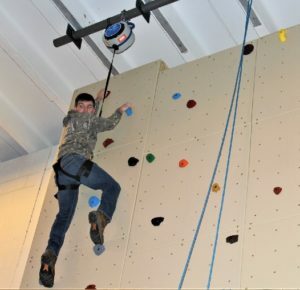 The wall opened Tuesday and is in use, but the class plans to continue building more climbing panels on either side.